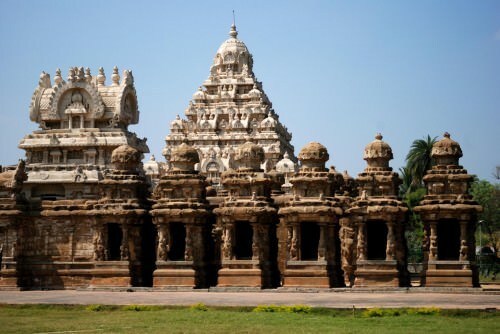 Kanchipuram has always been one of the most important religious cities of the world. Housing over a hundred temples, all at least a 1000 years old, it has been a confluence of Shiva, Vishnu and Shakta tracts of Hinduism. The capital of the Pallava dynasties for centuries, the city is sacred to many as one of the most potent centers for spirituality. It is one of the Sapta Puris or Seven Cities (Ayodhya, Mathura, Haridwar, Kashi, Kanchipuram, Ujjain and Dwarka). These cities are the select places of high spiritual elevation and spiritual masters have time and again been born in these places. On one warm summer afternoon, I visited the matha (an institute of asceticism usually started by a spiritual master) of one such exalted masters, Upanishad Brahmendra.